Through these components, and together with SAMHSA, NIDA facilitates the adoption of research-based interventions into front-line clinical settings. NIDA Blending Products and Materials constitute a primary mode of research translation toward clinical practice in the drug abuse field. 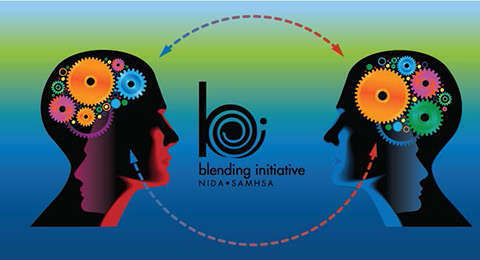 Blending Teams, consisting of NIDA researchers, treatment practitioners, trainers from SAMHSA’s ATTC Network, NIDA staff, and subject matter and communications experts, work closely together to develop training curricula, manuals, tools, and other resource materials based on NIDA-supported research. 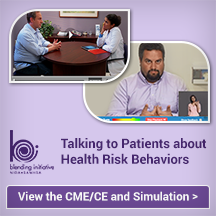 Blending Products introduced into the field have covered such topics as Motivational Interviewing, HIV Rapid Testing, Motivational Incentives/Contingency Management, and Buprenorphine Treatment for Opioid Use Disorders. Recent efforts have included an infographic on the role of Smoking Cessation in Addiction Treatment, along with web-based simulation training for Motivational Interviewing. Another cornerstone of the Blending Initiative involves the planning and execution of Blending Meetings and Conferences. These unique events provide an opportunity to foster collaboration and knowledge exchange between drug abuse researchers and treatment providers. The events expose providers to cutting-edge, evidence-based treatments and offer continuing education credits for physicians, psychologists, nurses, social workers, and addiction counselors. 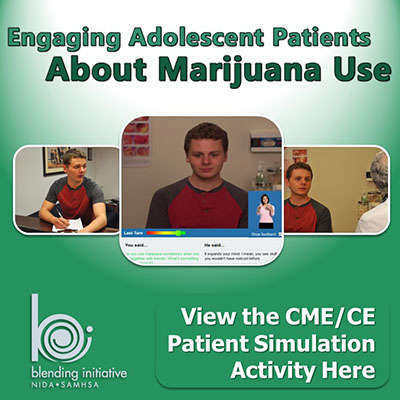 With the support and involvement of NIDA researchers, federal partners, and professional organizations, the Blending Initiative has been advanced through a variety of hands-on, skill-building workshops and lectures for audiences ranging from addiction professionals to emergency department physicians. These activities also serve as opportunities for Blending Teams to meet with leadership and members of key organizations to initiate collaborative training activities, discuss partnership possibilities, and initiate resource development. The Blending Initiative aims to establish and maintain collaborative partnerships with professional organizations serving the addiction treatment community as well as general medical settings such as primary and emergency care. In recent years, the Blending Initiative has partnered with more than a dozen organizations to provide embedded conference sessions, preconference workshops, and specialty courses for buprenorphine credit waivers, along with training and mentorship awards. These collaborations are key to reaching the full spectrum of healthcare providers and professionals, as well as reaching health providers just beginning their career trajectory. One facet of the Blending Initiative’s efforts at collaboration is the distribution of resident mentorship opportunities. Beginning in 2012, the Blending Initiative began partnerships with a variety of organizations to facilitate the funding and management of these opportunities. Such organizations include the American Academy of Child and Adolescent Psychiatry, the American College of Emergency Physicians, the Society of Teachers of Family Medicine, and the Society for Adolescent Health and Medicine. These mentoring activities create a fantastic opportunity for NIDA and the Blending Initiative to encourage the early adoption and implementation of evidence-based substance use disorder treatment interventions in the general healthcare setting.